Comfortable rooms a 100 meters from the bus terminal. A daily breakfast is offered and guests can make use of shared kitchen facilities and gardens. Some dorm rooms feature air conditioning and private bathrooms come with showers. A daily breakfast is offered and guests can make use of shared kitchen facilities and patios. Check in from 10:00 to 21:00 . 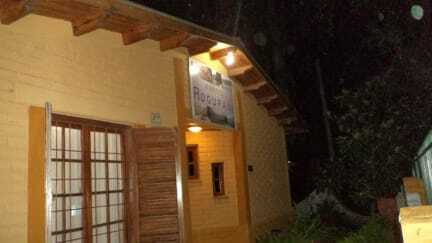 There is no availability for Rogupani Hostel on your selected dates. I loved this hostel! It was right next to the bus station, very close to town, and the owner is very nice. You will feel like you are at home here! Este hostel fue increíble! Es muy cerca del estación de ómnibus y cerca de la ciudad tambien. Sentí como en casa con Dora!! Best value for dollar in San Rafael. Really enjoyed this very homey hostel. Small and very homely, nice and helpful owners, practical location close to the bus station. The hostel was spotless and well-equipped and the staff were helpful. The beds were uncomfortable and saggy. THe hostel was clean and the security was very high (gates, alarm, padlocks etc). Shower worked well with hot water and bathroom was clean. The cooking facilities were minimal (two gas burners on a camping-type stove) with fridge. One of the chairs collapsed when I sat on it. The owner was unfriendly and made no effort to be welcoming. Breakfast was toast with instant coffee and powdered milk served with a scowl. Don’t bother, there are nicer places to stay. Not good value or pleasant.